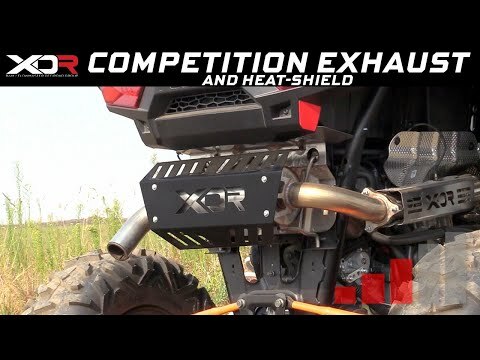 The new XDR Competition single exhaust system utilizes full 304S stainless steel construction, slips on the factory flange inlet connection and is firmly held in place using the factory rubber mounts and springs. 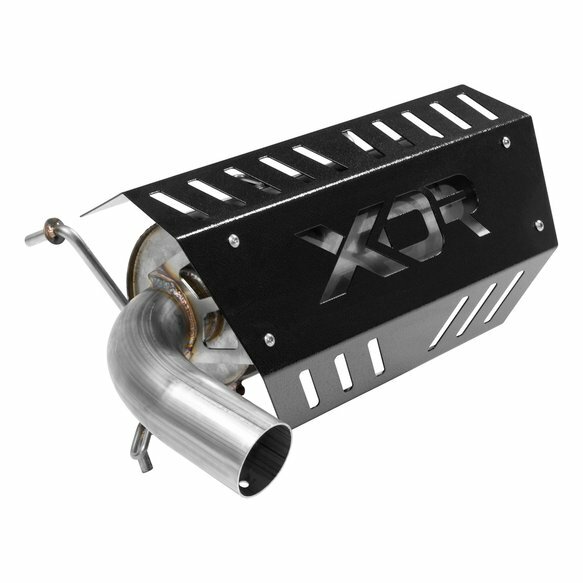 Features include a large 2.50 inch mandrel-bent inlet pipe flowing into an XDR competition race muffler with a 2.50 inch mandrel-bent tailpipe exiting in the stock location. 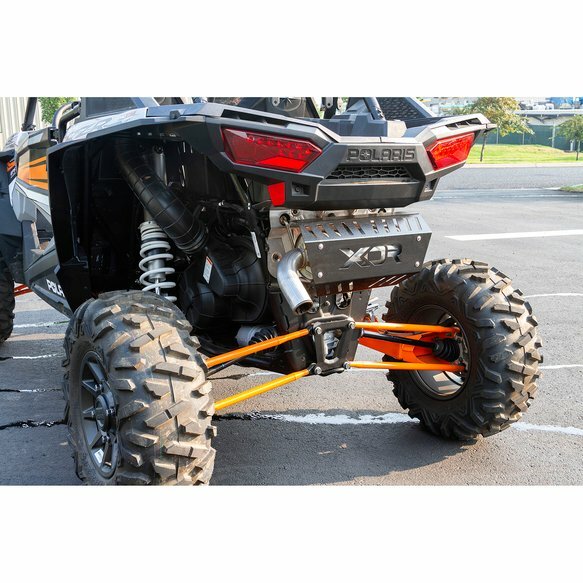 The tailpipe is designed to re-use the OEM USFS qualified spark arrestor allowing you to meet stock class race rules when necessary. 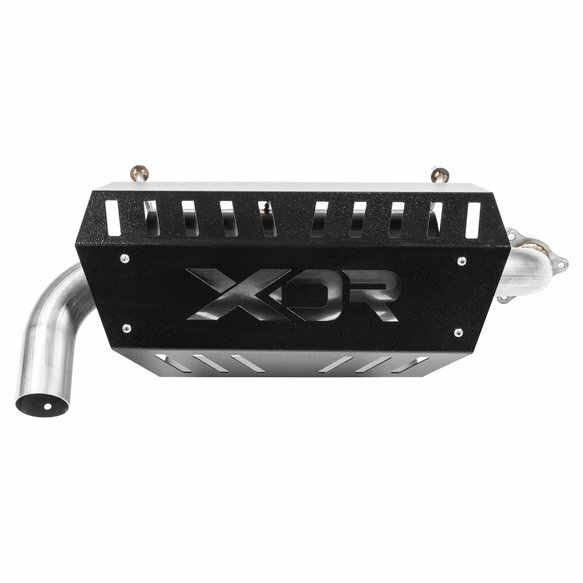 The cheap factory plastic heatshield is replaced with a black powder-coated 304S stainless heatshield sporting a laser-cut XDR logo that not only looks good, provides better airflow and heat dissapation, but also makes the statement that your serious about performance. 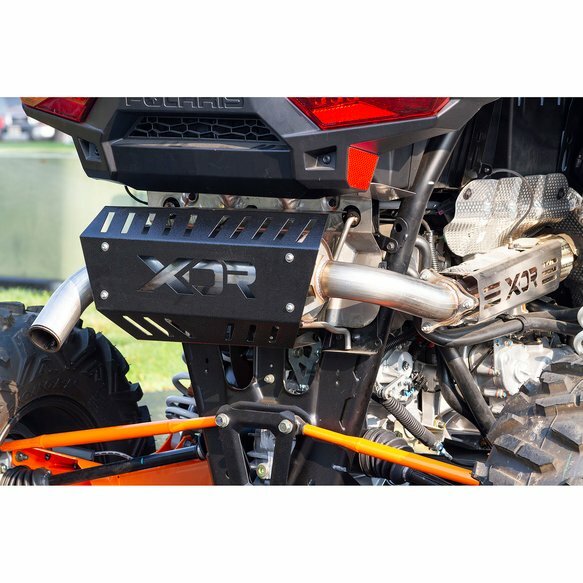 As a Competition XDR system, it will generally provide a moderate to aggressive sound level. 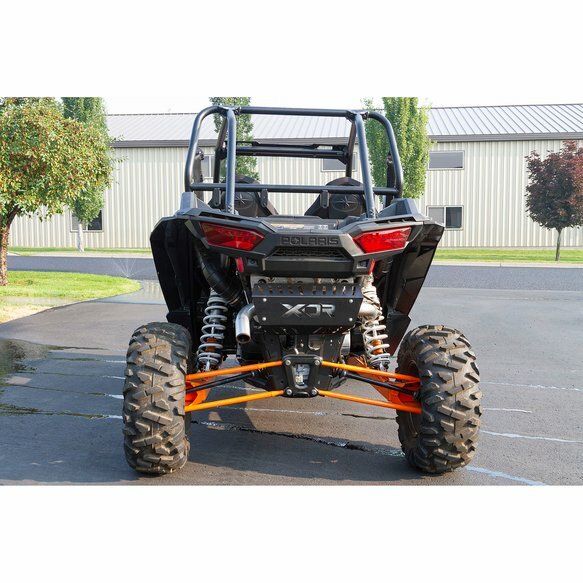 Includes easy to follow installation instructions and all necessary hardware for a quick and simple at home installation. 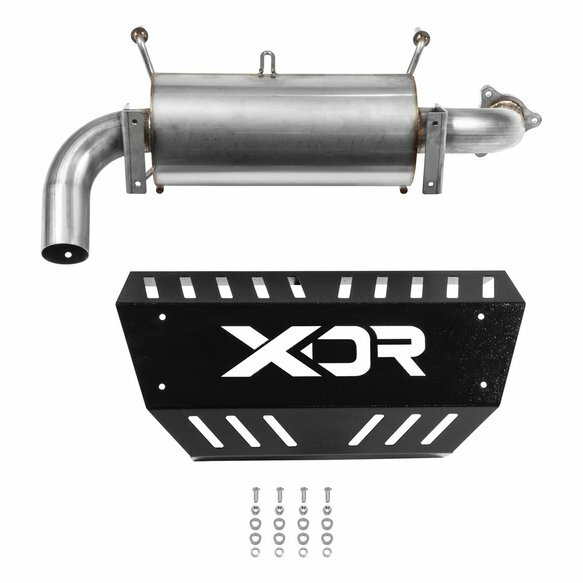 Note: This system does not include a catalytic converter and therefore is not emissions compliant for on-road or trail use. Not legal for sale or use in California. For Competition use only.